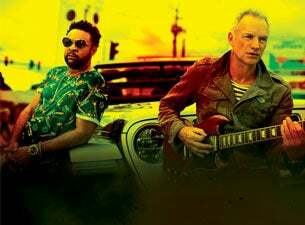 Following their win at the 2019 Grammys for Best Reggae Album, Sting & Shaggy have announced their return to the UK with The 44/876 tour. A series of intimate and exclusive shows will begin at London’s Camden Roundhouse on 19 May with additional dates in Newcastle, Birmingham and Manchester. In spring 2018, Sting & Shaggy made UK headlines with a memorable performance of Don’t Make Me Wait at the Queen’s 92nd birthday celebration at the Royal Albert Hall. The pair also performed the track live on BBC’s The One Show, and in the latest series of Mrs. Browns Boys. 2018 also saw the release of Skank Up (Oh Lawd), a further collaboration from Sting & Shaggy that featured dancehall music sensation Ding Dong. 2019 will also soon see the release of the pair’s next single, Just One Lifetime.